According to human nature, not everyone is willing to do a job under other. People are greatly interested to do business to make a lavish future. Business demand varies on a country by country. India is such an amazing country where anyone gets business opportunity above thousands and on. The demand of business in India to start is unpredictable. Choose the right business idea to start up in India is also equally important. That business idea is highly demanded in India for 2019 are trying to ask you via this article. 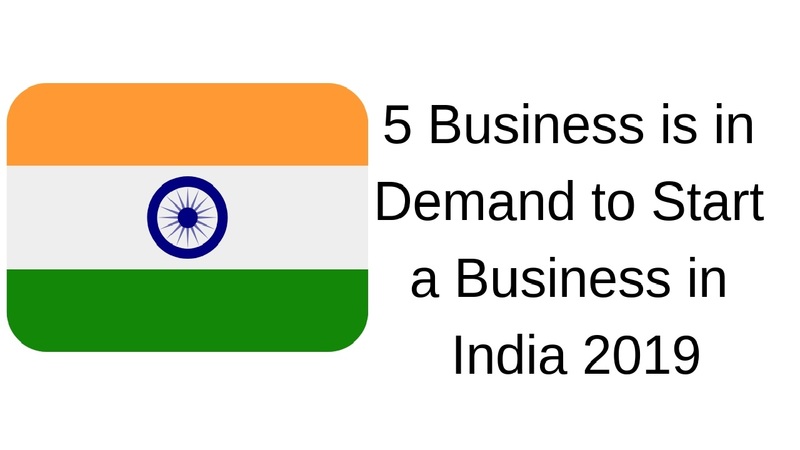 Here, you find top 5 business ideas in highly demanded to start a business in India 2019. On those 5 demanding business criteria also expose so many options of business indeed. Though all of these 5 ideas are performed previously their demand never decrease rather increase day to day. Foods are made beside rood and customers enjoy the food over there in street food business. It is super demanded and quiet famous business in India. The street food business is playing a very important trend in India. Kolkata is greatly known for street food. All foods are not equally demanded in all places. If you want to cut a good profit on your business you have to catch up the right food menu firstly. Then, you can think about the type of food fashion of the current time. It is so important to do prosper on your business is to fix up the right place to do your street food business. You should choose the commercial place like office area, school/college area or park area. Without asking permission, if you start your business you may fall in trouble. It will be a good decision if you ask permission from your local government to do business on street. Avoiding this requirement you may not able to run your business wisely. A good chef is highly important to run your business perfectly .otherwise all of your efforts go into the drain. If you provide fresh and tasty food to your customers you may be permanent to increase your business goal. India is known as a cultural country. So, here the fashion house is cutting a good demand as always. Indian people love to depend on fashion house for their attire. It becomes a trend nowadays and demand of fashion business on pick point. Variation of fashion house: Like India, there are so little amount of countries have such bulk variation of fashion criteria. For business, you can choose your kind of fashion to do business. In India, bohemian fashion, traditional fashion, hippie fashion, lateritic fashion, Bollywood fashion and so on fashion types are greatly practiced. 1) Choose the perfect kind of fashion or it will be good if all types of fashion criteria can be practiced. 3) Having knowledge about fashion and customers demand. Though it is a new kind of business idea nowadays it has a very high demand into Indian people. Most of the Indians are festival freak and they want to enjoy it with less effort. So Indian is preferred to depend on event Management Company. 1) Having a good knowledge of management thus one can manage all the requirement of dealing customer. It will be better if you have experience working with another event management company. India is a historically rich country. Tourist prefers to visit the country for many purposes. And the country has many places to visit may be in your area also. So it is a wise decision to do travel agency business as demand to start a business is in India 2019. Having a good relationship with the local police station, airport, hotel authority, and transport organization. Nowadays online based business is greatly performed all over the world. And in the idea has also very good demand for online based business because people are busy they want to save their time for shopping. You just need an internet connection to run your online based business. All of these business ideas are quite demanding and effective. Hope this article helps you to start a business in India in 2019.